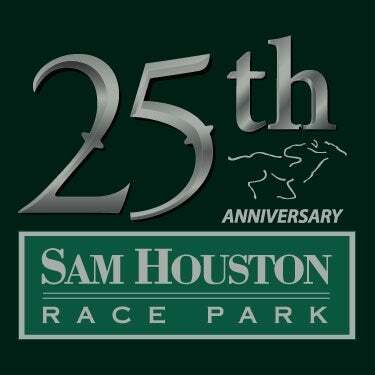 Sam Houston Race Park will present the Houston Racing Festival with five stakes races on Sunday, January 29. The ten-race card gets underway at a special early post of noon (Central). The first of the five stakes, the $75,000 Frontier Utilities Turf Sprint, will run as race 6, followed by the $50,000 Space City Stakes, the Grade 3, $200,000 John B. Connally Turf Cup, the Grade 3, $400,000 Houston Ladies Classic and the $50,000 Houston Distaff. The stakes action begins with a field of 12 competing in the five-furlong Frontier Utilities Turf Sprint. William Stiritz’s Hogy will make his 40th career start, and Sam Houston debut, under Florent Geroux. Bred in Kentucky, the gelded son of Offlee Wild is a noted turf sprinter with 15 wins and earning in excess of $800,000. He began his career in 2011, is a grade 3 winner, and is still matching strides with some of the top grass runners in the country. He had runner-up finishes last year in the Kentucky Downs Turf Cup as well as the Grade 3, Woodford Stakes at Keeneland. Trainer Scott Becker looks for a good effort Sunday from the 8-year-old veteran. Trainer Mike Maker is expected to make the trip to Houston on Sunday and will saddle two entrants in the Frontier Utilities. Purely Mocha, owned by Sarah and Kenneth Ramsey is a stakes-placed son of Half Ours who drew the rail and will be ridden by Luis Saez. His other starter is Michael M. Hui’s Shadow Rock, winner of ten turf sprints to date. He will be ridden Sunday by Robby Albarado, who recently clinched his 5,000th career victory. Tell All You Know, Meme Jo and All Dat Brees are other capable turf sprinters. The Frontier Utilities Turf Sprint is the sixth race and will be the first leg of the All Stakes Pick 5 and All Stakes Pick 4. A full field of 3-year-olds will compete in the six furlong $50,000 Space City Stakes, which will run as the seventh race of the Houston Racing Festival card. En Hanse, a son of Hanse, owned by Kendall E. Hansen and Olympic skier, Bode Miller, has been tabbed as the 5-2 choice. Trained by Maker and ridden by Ortiz, En Hanse won his last two sprints at Turfway Park and seems primed for his stakes debut. Trainer Scott Becker will give a leg up to Albarado aboard St Louie Guy, who garnered victories at both Arlington Park and Churchill Downs for owner William Stiritz. His only off the board finish came in the Grade 3, Arlington Washington Futurity last September. Trainer Steve Asmussen will ship in Prados Way, a Tizway colt, owned by Kathryn East. He stepped up to graded stakes company after an easy stakes win in New Mexico last August. Iram Diego, the leading rider last year at Sam Houston Race Park, has the call. Asmussen, who was inducted into the Hall of Fame last summer at Saratoga, and has won seven leading trainer titles in Houston, also trains Mannford. The Ready’s Image colt made four starts at Remington Park for owner L and N Racing LLC. Texas-bred Imma Wild Bling won the Texas Stallion Stakes at Retama Park and reunites with rider Danny Sorenson in pursuit of his second career stakes win. The Grade 3, $200,000 John B. Connally Turf Cup, will be run at the distance of one and one-half miles for the second year in a row. Mike Maker will make the trip to Houston on Sunday and saddle three of the nine turf specialists in this year’s field. Michael M. Hui’s Greengrassofyoming ran fourth in the Grade 3, Kentucky Turf Cup at Kentucky Downs and followed that with a victory in the Grade 3, Sycamore at Keeneland. The 7-year-old son of Quest is closing in on the half-million earnings mark and will be guided by Robby Albarado from post position five. Albarado celebrated his 5,000th career win last weekend at Fair Grounds and piloted three previous Connally champions: Rod and Staff (2000); Fort Prado (2006) and Acting Zippy (2010). Maker has named Jose Ortiz to ride Bigger Picture for Three Diamonds Farm and Florent Geroux on Sarah and Kenneth Ramsey’s Oscar Nominated, a 4-year-old son of top turf sire, Kitten’s Joy. 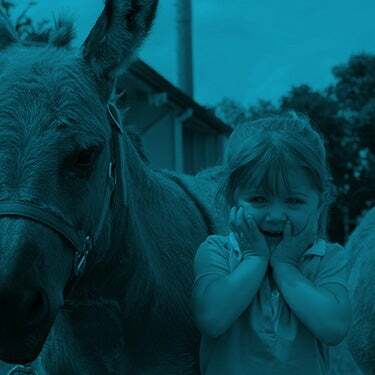 Maker’s horses are arriving on Thursday. Maker, who began his career as an assistant to Hall of Fame conditioner D. Wayne Lukas, has a solid history in the Connally Turf Cup, winning four of the last five editions of the stakes with Papa Bodie in 2012; Admiral Kitten in 2014; Coalport in 2015 and last year’s running with Skychai Racing LLC’s Da Big Hoss. As previously released, the field is set for the Grade 3, $400,000 Houston Ladies Classic, to be run at one mile and one-sixteenth on the main track. The morning line favorite, I’m a Chatterbox, is a multiple Grade 1 winner bred and owned by Mr. and Mrs. Fletcher Gray. The 5-year-old daughter of Munnings had her final work Tuesday at Fair Grounds and trainer Larry Jones reports that she will arrive at Sam Houston on Thursday. 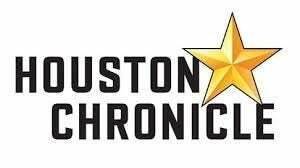 The Houston Ladies Classic field, in post position order, with riders is: Danzatrice, Luis Saez; Another Bond Girl, David Cabrera; Family Tree, Julien Leparoux; I’m a Chatterbox, Florent Geroux; Tiffany Case, DeShawn Parker; Steel Cut, Robby Albarado and Unbridled Mo, Jose Ortiz. A field of 11 fillies and mares will take to the Connally Turf Course for the mile and one-sixteenth $50,000 Houston Distaff, the final stakes of the afternoon. Susie Bee owned by Calumet Farm, is the 3-1 morning line favorite. The 5-year-old English Channel mare is trained by Maker and has bankrolled $211,848 in her 17 lifetime starts. Albarado has the mount, who made one previous stakes start at Sam Houston, running sixth in the 2016 Jersey Lilly Stakes. Trainer Tom Proctor is shipping two fillies from his Fair Grounds base: Hip Hop N Jazz who had a nice turf win under Geroux one month ago, and Emyvale Court, a recent turf winner at Tampa Bay Downs. Quincy Hamilton, who just rejoined the Sam Houston jockey colony, will ride the 5-year-old mare. Trainer Bret Calhoun and owner Carl Moore Management LLC are frequent visitors to the Sam Houston Race Park winner’s circle and will send Artistic License in for the Distaff. Luis Saez has the mount. Houston’s James “Mattress Mack” McIngvale has a starter in the Pegasus. He purchased Group 1 winner Eragon in Argentina for the race. Sam Houston Race Park will simulcast the entire Saturday card at Gulfstream Park with the Pegasus World Cup to run at 5:40 pm (ET). 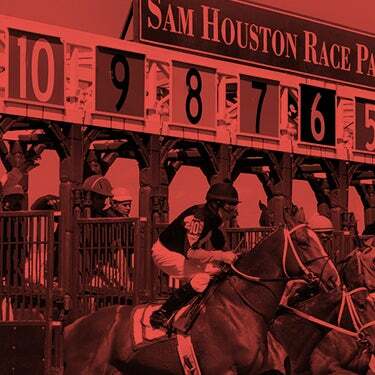 In honor of the $400,000 Houston Ladies Classic, Sam Houston Race Park has joined forces with the American Heart Association and will donate $1 for each paid admission. Fans are encouraged to “go red” on Sunday to show their early support for Heart Month in February. Patrons are also invited to attend the Wine Tasting at the Track in the Paddock Room on the Club Level. The $20 Wine Tasting Includes general admission, a punch card for six wine tastings. Tickets are available at shrp.com. Advance on-track wagering for the Houston Racing Festival card will be offered on Saturday, January 28. Sam Houston will offer two special wagers for the big day: All-Stakes Pick-5 as well as an All-Stakes Pick-4 with an industry low 12% takeout. The wager will kick off with the $50,000 Frontier Utilities Turf Sprint as the sixth race of the card.